Luke is about 6 years old and was surrendered to CPL with his housemate Honey (already adopted) because their owner was unable to continue with their care. 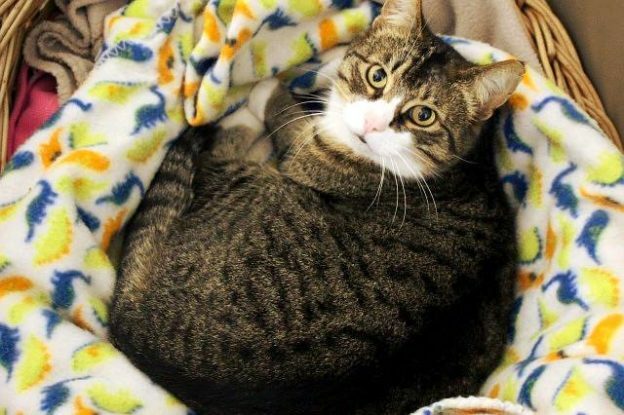 Luke is a confident, friendly cat who enjoys attention and cuddles. He has just had a cyst removed from the top of his head – the site is healing well and we are not expecting it to cause further problems.